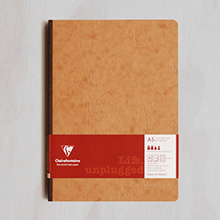 Clairefontaine notebooks are made using the best paper in the world for writing. Yet this broad range is highly affordable and environmentally friendly. Located in the Vosges region of France, Clairefontaine was established in 1863 on the site of a 16th century paper mill. Currently the only European manufacturer making its own paper for its own product, Clairefontaine notebooks are a market leader for both quality of paper stock and environmental practice. Recyclable and biodegradable, Clairefontaine sources pulp exclusively from sustainable forests that are certified according to recognised international standards (PEFC, FSC). Their manufacturing process ensures that endangered wildlife habitat is protected, worker health and safety laws are kept and the rights of indigenous communities are respected. Known for being the first manufacturer of school stationery in France, to this day European students from kindergarten through to doctoral studies still appreciate and use Clairefontaine notebooks on a daily basis. The Clairefontaine Essentials Cloth Bound Notebooks are a lightweight but sturdy notebook, cloth bound on the left, with a stylish leather effect cover. The paper is 90gsm; the vellum surfaces satin finish prevents bleeding of ink and has a bright but not glaring white colour. A series of elastic-bound notebooks and notepads featuring a leather-grain effect card cover and Clairefontaine’s exceptional paper. Ideal for students or professionals. 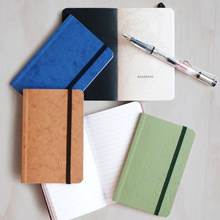 The Metric range includes limited edition reissues of the first Clairefontaine 1950s notebook covers. Inside you will find some of the best quality writing paper available – smooth, white and coated. 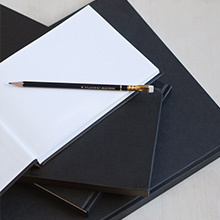 The GraF it series of un-ruled sketchpads are an ideal choice for the environmentally and budget conscious student, artist, writer or traveller. Crok sketchbooks are a bright and colourful sketching companion, available in various sizes. Paint ON pads offer higher quality artist paper in A4 & A5 sizes. This extensive range is the smart choice for those seeking the best, and most affordable paper, for writing, sketching and calligraphy. Perfectly suited for professional and student use and delivering the confidence of a truly ecologically sound range. Telegram Co. is the official, exclusive distributor for Clairefontaine in Australia. 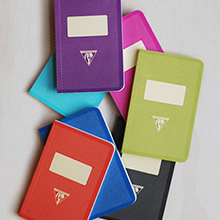 Interested in stocking Clairefontaine? Please complete our retail partnership enquiry form.